New Delhi: A day before counting of votes for Assembly polls in five States, the NDA received a setback with one of its allies leaving the fold. Upendra Kushwaha, leader of the Rashtriya Lok Samata Party (RLSP), announced his resignation from the Union Council of ministers and his party’s exit from the NDA. He was Minister of State for Human Resource Development. In a two-page resignation letter and in a press conference held at his residence in New Delhi, Mr. Kushwaha said that he had been gradually disenchanted with the Narendra Modi government of which he had been a part for four and a half years. In a two-page resignation letter and in a press conference held at his residence in New Delhi, Mr. Kushwaha said that he had been gradually disenchanted with the Narendra Modi government of which he had been a part for four and a half years. He said he felt humiliated by the actions of the BJP which was more keen to cultivate his arch rival - Janata Dal (United) - rather than his own party and was substantially reducing his share of seats in the NDAs kitty for Bihar. 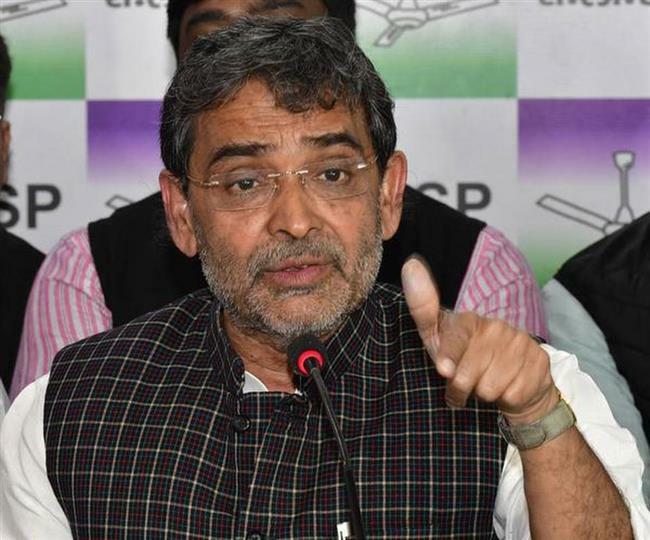 The JD(U) and the BJP are to fight equal number of seats in Bihar for the Lok Sabha polls, the BJP announced recently, with no assurance to Mr. Kushwaha on whether he would be fighting on at least the number of seats he had contested in 2014. “You (referring to Prime Minister Modi) have systematically dismantled the functioning of the Cabinet of the government that is mandated in our constitution. The Union Cabinet has been reduced to a rubber stamp, simply endorsing your decision without any deliberation. Ministers and officers posted in ministries have become figureheads as virtually all decisions are taken by you, your office, and the BJP president (which is unconstitutional),” Mr. Kushwaha said in his resignation letter, made available to the press. “The biggest humiliation was done by Shri Nitish Kumar in the presence of Shri Sushil Modi by using the word ‘Neech’ (lower class) for me. The way the BJP State unit supported Mr. Kumar on the statement has led to unhappiness among the masses,” he said. He made special mention of the fact that the Socio Economic Caste Census (SECC) which was supposed to provide an accurate count of caste break up in India and on which the OBC communities were particularly relying in order to get social justice was being suppressed by the government. “The OBC community is upset that this census, which would have proven what their numerical strength is, is being suppressed,” he said. Mr. Kushwaha’s letter, however, does not mask the fact that two of his party MLAs, Sudhanshu Shekhar and Lallan Paswan in the Bihar Assembly are threatening to join the JD(U). BJP leaders were sanguine in the face of Mr. Kushwaha’s exit saying that while they did not want to remove him, his exit would not affect the party’s prospects in Bihar.